Objective: Create a new global look for Tesla to be unveiled at the North American International Auto Show that reflects Tesla's start-up mentality maturing to a confident disruptor. Execution: Tesla is premium. They have shifted from bright reds and glossy whites to an edgier look subdued in metal grays and blacks, with hints of fine white glass. 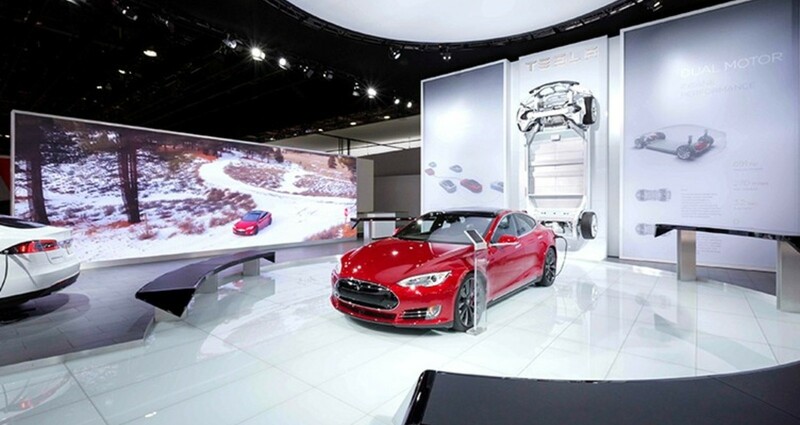 By placing the main vehicle in the center of the booth below an illuminated white beacon, the Model S was presented as the jewel of the auto show.